Stockholm, the capital city of Sweden, is spread across 14 islands situated on the southeast of the country. 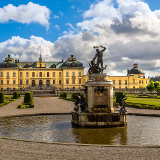 With a history dating back to 1252 and a thriving economy, it is little wonder that Stockholm serves as the political and economic centre of Sweden. Famed for its eco-friendly culture, the city is also renowned for its eclectic architecture. Cheap flights to Stockholm are now available for a limited time only, so book your flight today and experience the natural landscapes and historical charm of this progressive city. Stockholm is home to Stockholm Arlanda Airport (ARN), a 20-minute drive from the city centre, easily accessible by car and train. Medieval influences are evident in the striking architecture and cobbled streets throughout the city. The Gamla Stan district houses Sweden’s ancient history in The Royal Palace and Den Gyldene Freden. The eco-friendly capital has made landmark achievements in transforming the city into an urban green space. Float along the canals or take a walk through Djurgården and experience the scenic attractions of the island. 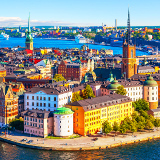 Stockholm is an eclectic mix of traditional and modern influences, visible in its fashion trends, cuisine, and locals who are a combination of people from around Europe and the Middle East. The summer season, between June and August, is when most tourists visit Stockholm. The weather is warm and ideal for sightseeing and wandering through the streets. You can watch live music concerts in the parks, hop on a boat cruise or take a swim in the sea – the sky remains light even at night, so you can enjoy these activities all day long! Stockholm is a global city highly recognised for its prosperity, eco-friendly design, impressive architecture and pristine, natural beauty. This enormous urban centre is known as the “Venice of the North” due to its many channels of open water, luscious green parks and charming landscapes. 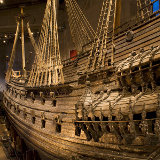 The capital of Sweden is well-known for its museums and art galleries. 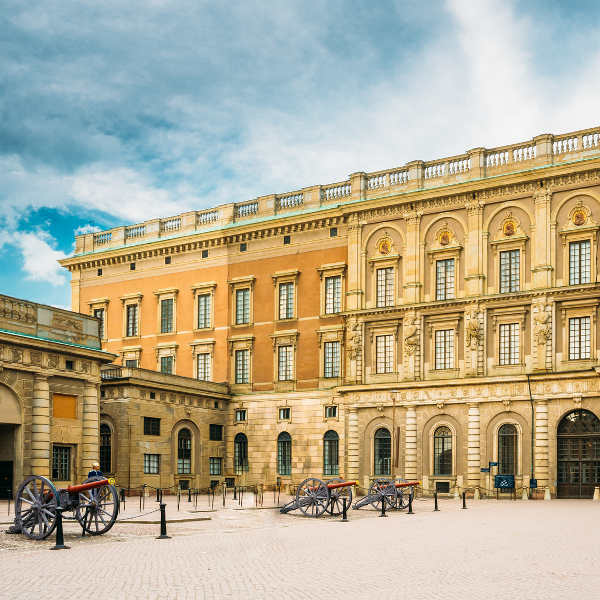 The most popular one is the National Museum, displaying Sweden’s largest collection of valuable art, including masterpieces by Rembrandt, Carl Larsson and Anders Zorn. 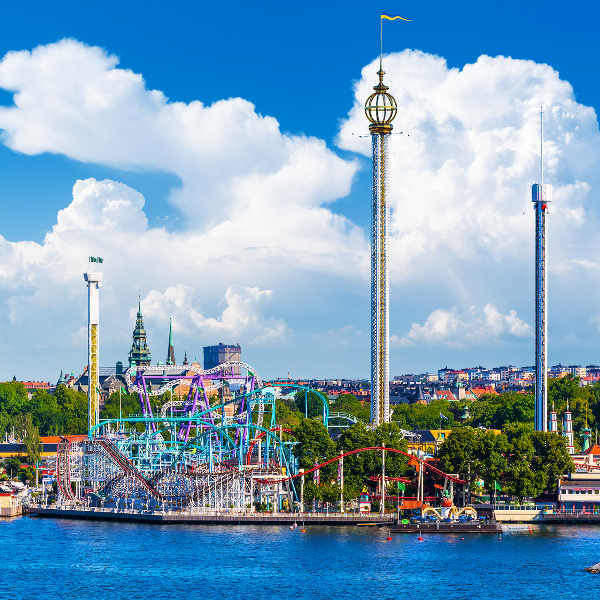 Enjoy a few hours of uninterrupted fun at Gröna Lund, a large amusement park with over 30 attractions and a wide range of appealing dining options. With numerous restaurants, bars, pubs and clubs, this city offers the best in modern entertainment and hospitality set amongst an eclectic cityscape of old and new landmarks. Compare several airlines, and book your cheap flights to Stockholm online at Travelstart! In relation to most European countries, the crime rate in Sweden is considerably low. The usual pick-pocketing occurs in areas highly frequented by tourists, such as the Central Station and Old Town. Hotel lobbies and restaurants may attract well-dressed thieves so be vigilant and ensure your belongings are secure at all times. Stockholm has excellent medical facilities and you shouldn’t have any problems sourcing generic medication at the local pharmacies. Most of the locals speak a good level of English and will be able to assist you in any event. Medical bills for non-EU citizens can be very expensive, so consider taking out travel insurance before your departure. Stockholm is bubbling with attractions throughout the city. Gamla Stan (Old Town) is nestled in the heart of the city’s waterways. It has a medieval feel to it with the Stockholm Cathedral, Nobel Museum and Royal Palace close by. With stunning views of the harbour, tourists can enjoy the local charm of the shops and cafés nearby. Norrmalm, just north of Old Town, is a popular area to stay in due to its convenient accessibility to public transport and the airport. This central location houses the Royal Opera House, Ocean Bus and National Museum. A little further south, Sӧdermalm is a trendy area, popular with young locals. You will find plenty of accommodation options, from basic apartments to boutique hotels. A more family-oriented neighbourhood is Djugårde with open parks and the ABBA Museum to explore. Stockholm is a bike-friendly city so your best bet of getting around is by walking or renting a bicycle, giving you a greater opportunity to see the city’s historical attractions and street culture. The public transport system in the city is fantastic and easy to navigate. Buses, trains and subways are operated by Lokaltrafik, through a travel card which is highly recommended for travellers staying for a few days. Visitors staying in Djugårde can rent bicycles for free with this card, while regular city bikes cost 250 SEK for a 3-day pass. For those with limited time, the fastest way to travel is via the subway (Tunnelbana). Taxis are available but, beware of drivers trying to scam you. Renting a car is not recommended as parking in the city is expensive and inconvenient.